Earlier today, two national archery players from Jharkhand were killed when their car rammed into a truck near Lalpur airstrip in Madhya Pradesh’s Shahdol district. J&K: At least one person has been killed and 22 others injured after a mini-bus overturned on Dhar Road in Jammu and Kashmir on Wednesday. The injured have been shifted to the district hospital. Earlier today, two national archery players from Jharkhand were killed when their car rammed into a truck near Lalpur airstrip in Madhya Pradesh’s Shahdol district, police said. The deceased, identified as Jaspal Singh and Saras Soren, had played at the national level archery championships, a police official said, adding that they were residents of Jamshedpur. 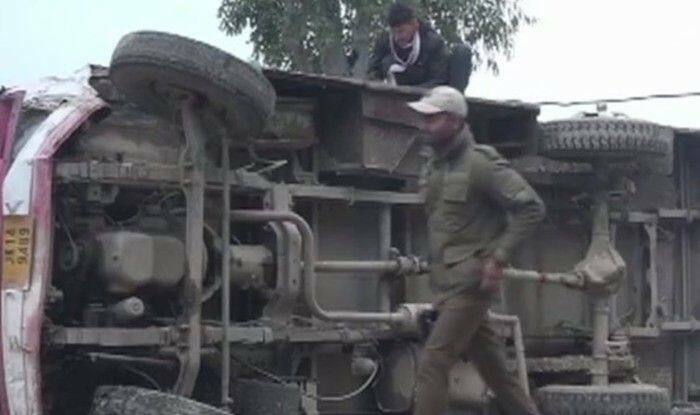 On Tuesday, a man was killed and three others were injured after their motorcycle was hit by a truck at Yusufpur village in Muzaffarnagar.